VANCOUVER, BC – November 13– Ostara Nutrient Recovery Technologies Inc., a clean water company that recovers phosphorus and nitrogen from nutrient-rich water streams and transforms them into a slow-release, premium fertilizer, announced today it has been named a winner of the prestigious Deloitte Technology Green 15™ Award at the 2012 Deloitte Technology Fast 50™ Awards. The award recognizes 15 companies for leadership in creating major breakthroughs in the field of green technology. Phillip Abrary, President and CEO (2005-2017) of Ostara, credits Ostara’s success to its innovative water treatment technology and unique business model, which provides an environmental solution that also delivers an economic benefit to municipalities and industry. “We are very proud to once again be a Deloitte Technology Green 15™ winner,” said Phillip Abrary, Ostara’s president and CEO. “The commercial development and widespread application of our technology will make significant contributions towards securing clean water and preserving valuable nutrients essential to agriculture – two urgent issues facing the world as global population grows and the demands on food and water resources increase. The Technology Green 15™ recognizes Canada’s leading GreenTech companies. 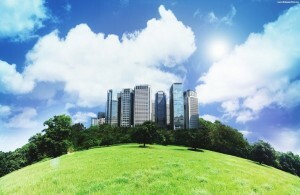 GreenTech, the industry term for “green technologies”, is taking on greater importance in the world in general, and the world of business in particular. It includes any technology that promotes a more efficient use and re-use of the earth’s resources in industrial production and consumption. GreenTech products and services are designed to reduce or eliminate environmental impacts and improve operational performance, productivity, or efficiency while reducing costs, inputs, energy consumption, waste, or pollution. Although many companies within GreenTech industry sectors are very different, they share a common trait: all use new, innovative technology to create products and services that compete with existing products and services on price and performance while reducing impact on the environment. The Deloitte Technology Fast 50™ program is Canada’s pre-eminent technology awards program. Celebrating business growth, innovation and entrepreneurship, the program features four distinct categories including the Technology Fast 50TM Ranking, Companies-to-Watch Awards (early-stage Canadian tech companies in business less than five years, with the potential to be a future Deloitte Technology Fast 50™ candidate,) Leadership Awards (companies that demonstrate technological leadership in four industry subcategories: hardware/semiconductor, software, telecommunications and emerging technologies) and the Deloitte Technology Green 15™ Awards (Canada’s leading GreenTech companies that promote a more efficient use and re-use of the earth’s resources in industrial production and consumption.) Program sponsors include Deloitte, Gowlings, Wellington Financial, TMX Group, HUB International HKMB, National Angel Capital Organization, CVCA, MaRS and IGLOO Software. For further information, visit www.fast50.ca. Ostara designs, builds and markets a proprietary nutrient recovery technology that recovers phosphorus and nitrogen from nutrient rich water streams in municipal and industrial water treatment facilities. The nutrients are transformed into a high-value, eco-friendly fertilizer, sold and marketed by Ostara as Crystal Green®. Ostara’s nutrient recovery technology was invented at the University of British Columbia and commercialized in 2005, when the company was founded. The company has five commercial nutrient recovery facilities throughout the U.S., including a demonstration facility to treat industrial process water. Three additional nutrient recovery facilities will be added in the coming months including the H.M. Weir Wastewater Treatment Plant in Saskatoon, Canada; Thames Water’s Slough Sewage Works in the UK; and the Madison Metropolitan Sewerage District in Madison, WI. Backed by VantagePoint Capital Partners in the US, and Frog Capital in the UK, Ostara is the recipient of numerous awards including being named a 2011 Technology Pioneer by the World Economic Forum, and being named to the Global Cleantech 100 for the past four years. The company is based in Vancouver, Canada, and has offices in the US and Europe. For more information: visit www.ostara.com.